Home Uncategories Your PayPal balance is now PayPal Cash Plus. Your PayPal balance is now PayPal Cash Plus. We've made some changes to the way you can keep your funds in PayPal. 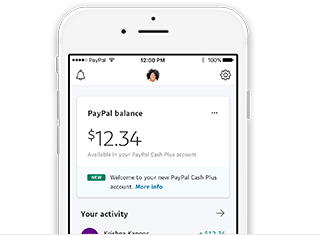 Your money will now be in a PayPal Cash Plus account that is automatically linked to your personal PayPal account. This has been set up for you and no action is required on your part. All the benefits of your PayPal account will remain the same. still available with your existing PayPal login. you have access to today. Keep money in PayPal Cash Plus so you can send* or spend from your balance and organize towards Goals, chip in for group gifts with Money Pools and more. Shop everywhere Mastercard® is accepted using the funds in your PayPal Cash Plus account with the PayPal Cash Mastercard or withdraw money from ATMs** worldwide. Click here to apply for this debit card from PayPal. 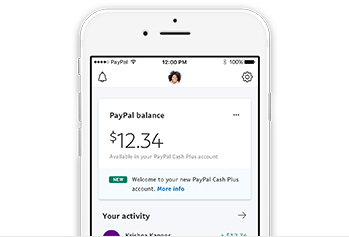 Learn more about PayPal Cash Plus by exploring our FAQ page here. *Sending and receiving money requires a valid PayPal account. **ATMs must display the Mastercard®, Cirrus®, PULSE® or MoneyPass® acceptance marks. Up to $400 USD daily withdrawal limit applies. Transactions at non-MoneyPass ATMS have a $2.50 ATM Domestic and International Withdrawal Fee. No fee for MoneyPass ATM Withdrawals in the U.S. Foreign Transaction Fee applies for International ATM Withdrawals. ATM operator fees may also apply. See Cardholder Agreement for details. The PayPal Cash Mastercard is issued by The Bancorp Bank pursuant to license by Mastercard International Incorporated. The Bancorp Bank; Member FDIC. Card may be used everywhere Mastercard is accepted. Mastercard is a registered trademark, and the circles design is a trademark of Mastercard International Incorporated. 0 Comment "Your PayPal balance is now PayPal Cash Plus."